Fat Quarter Shop's Jolly Jabber: Patchwork Quilt Along: Save the Dates! Patchwork Quilt Along: Save the Dates! We're just under a month away from the start of our 2017 Patchwork Quilt Along! The highly anticipated event will start on January 15, 2017! We will announce the first block and also the fabric requirements here on the Jolly Jabber on that day. We hope you will join Fat Quarter Shop and Moda Fabrics as we sew this darling quilt to benefit the Make-A-Wish foundation! For each block, we encourage you to donate just $5 for the use of each pattern! 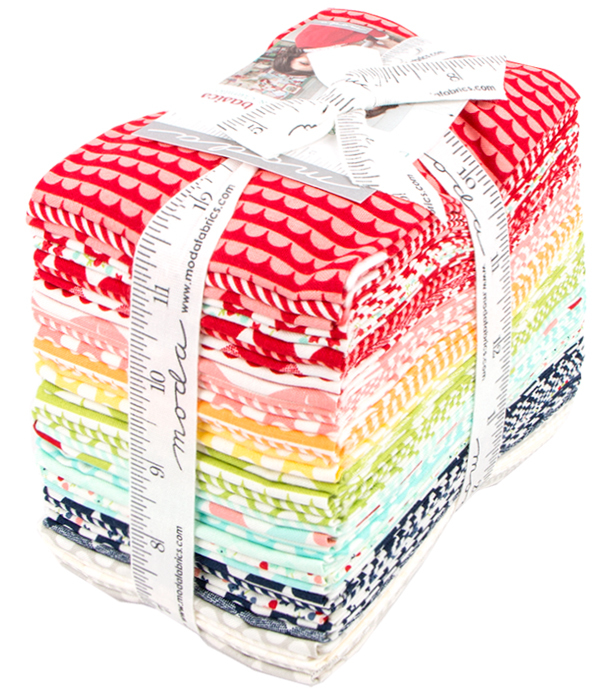 Fat Quarter Shop and Moda Fabrics will match up to $20,000 of the donations raised! 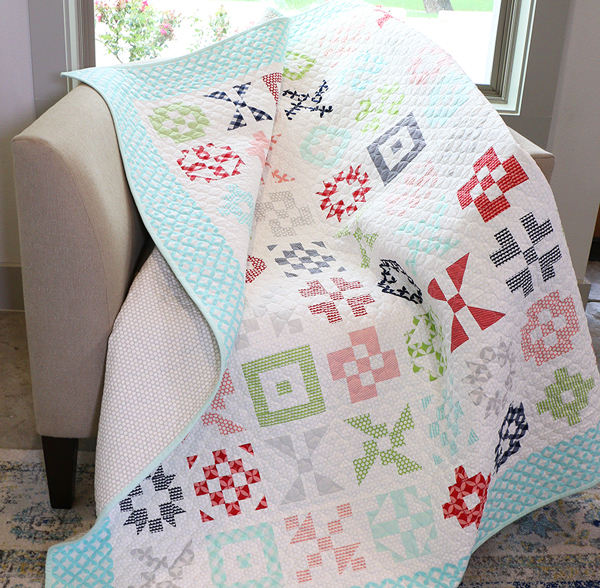 Are you using our Bonnie & Camille basics kit, like the quilt pictured above?! Preorder yours now to ensure you are all set for January! The kit will have everything that you need to make each block! A new block will be released on the Jolly Jabber on the 15th of each month, with the 12th and final block, as well as the finishing and backing, released on December 15, 2017! This is sure to be a fun quilt along and also such a great fundraiser for Make-A-Wish! We can't wait to get started! Be sure to join our 2017 Patchwork Quilt Along Facebook group!